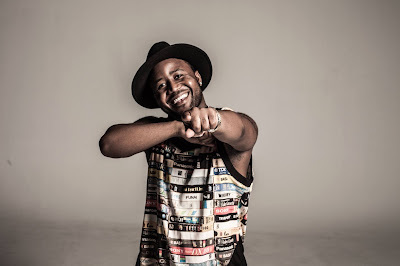 Nickelodeon Africa has announced the exciting news that hip hop prodigy Cassper Nyovest will be performing live at the inaugural NickFest on Saturday 13th June 2015! The platinum-selling rapper is set to bring down the house at the spectacular, family friendly festival, which is transforming Tsogo Sun’s The Globe at Silverstar Casino into a slime-filled Nickelodeon wonderland! 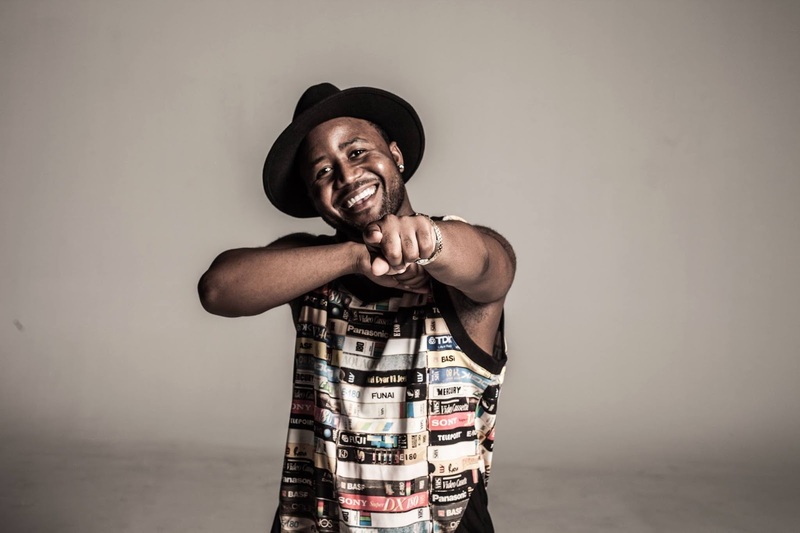 Comments Cassper Nyovest, "I'm very excited to be part of the first ever South African edition of NickFest. I've been proud to collaborate and perform alongside influential artists from HHP to Talib Kweli, DJ Drama, Kid Cudi and Kendrick Lamar, but I'll be taking my career to a new level when I share a stage with icons like SpongeBob SquarePants, Dora the Explorer, and a quartet of giant green amphibians warriors!" Born in the small neighbourhood of Montshiwa in Mafikeng, Cassper started rapping at the age of 12, before leaving school at 16 to follow his dream of Hip Hop stardom. 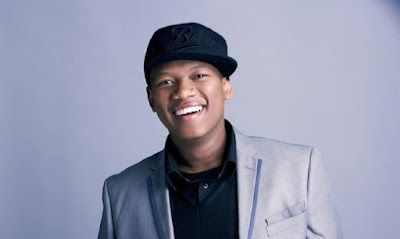 Fortunate enough to be spotted by HHP, Cassper subsequently travelled far and wide with the Motswako rapper, taking South African Hip Hop to the world. After he dropped his own official single Gusheshe in 2013, Cassper's career took off, and he has since won an astonishing array of awards, including the South African Hip Hop Awards, the Metro FM Awards and the SAMAs, plus Best African Male Artist at the Channel O Awards. Cassper has high hopes of winning his first BET Award in June, and believes he'll score a Grammy one day soon! Also performing alongside Cassper on 13 June will be teen vocal group The Buzz, the Tsogo Sun Arts Academy All Stars, ProVerb, and Morgan Beat Box. Two shows will be held daily at 10am-1pm, and 2pm-5pm, with Mi Casa headlining the lineup for Sunday 14 June 2015. Three Nickelodeon character shows and meet and greets take place on both days. 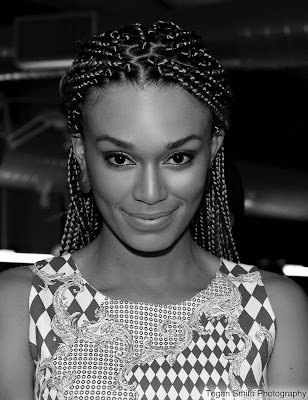 Nickelodeon Africa has also announced the aweslime news that recording artist ProVerb and television presenter, model and actress Pearl Thusi will be getting slimed at NickFest 2015! 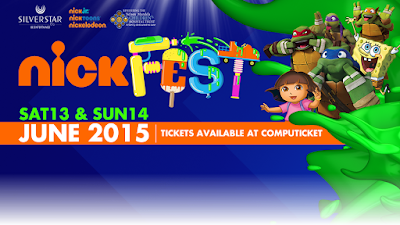 Tickets for NickFest are now on sale at Computicket, priced R110 per ticket (entry free for children under 2). A percentage of funds from ticket sales will be donated to the Nelson Mandela Children’s Hospital Trust to aid sick children. Nickelodeon Africa is giving Nicksters the chance to win tickets to attend NickFest 2015! Head to nickelodeonafrica.com and answer the simple question to enter for your chance to win! NickFest will thrill kids and parents alike with its unique combination of live music from SA A-listers, character shows and appearances by Nickelodeon superstars SpongeBob SquarePants, Dora the Explorer and the Teenage Mutant Ninja Turtles. Packed with fun and interactivity, NickFest promises a fabulous day out for kids of all ages and their families, with designated activities for pre-schoolers, primary school kids, tweens and teens. And of course there’ll be lots of Nickelodeon's trademark slime – tons and tons of gooey green stuff...in the awesome Slime Area! For more information on NickFest please go to www.nickelodeonafrica.com, like Nickelodeon Africa on Facebook at www.Facebook.com/NickelodeonAfrica, or follow Nick Africa on Twitter @NickAfrica and on Instagram @Nickelodeon_Africa. To join the conversation about NickFest, please use the dedicated hashtag #NickFest. Follow NickALive! on Twitter, Tumblr, Google+, via RSS, on Instagram, and/or Facebook for all the latest Nickelodeon Africa and NickFest News and Highlights! 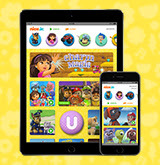 Nick Jr. USA has announced the exciting Nickelodeon Preschool news that Nickelodeon USA will be relaunching the networks official preschool website, nickjr.com, with a brand-new design based on the networks hit Nick Jr. App on Wednesday 10th June 2015! Kids Can Play on NickJr.com Everywhere They Go! The new NickJr.com is designed with preschoolers in mind. The new website is responsive on multiple devices (desktop, mobile web, and tablet web) so children can watch and play all by themselves, no matter how and where they access the website, home or on the go! 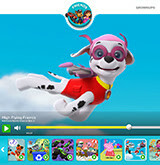 The design is rich and colorful and "app-like," so it's simple for kids to use and find all their favorite shows, videos, episodes, and games - all within a safe environment. 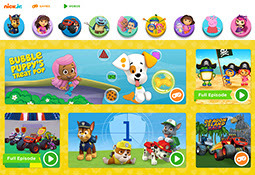 Kids will still find the games they love to play on NickJr.com, featuring their favorite shows like "Paw Patrol", "Blaze and the Monster Machines", and "Dora and Friends". 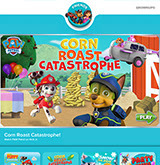 PLUS - for the first time ever - they'll be able to play Nick Jr.'s most popular games on mobile and tablet (web-enabled)! Kids will now find lots of the same hilarious and delightful animated surprises that they have come to love in the Nick Jr. app. Just press a button to see what happens! More full episodes will be available for children to watch at home and on the go! A limited number of episodes are available FREE for everyone - PLUS, Nick Jr. channel subscribers can unlock even more of Nick Jr.'s recent episodes when they log in using their TV provider's subscription info! Preschoolers will continue to enjoy a variety of short videos that star all their favorite Nick Jr. friends: silly segments, music mash-ups, new episode "first looks,", bloopers and curriculum moments. New videos will be released every week! Parents...still hoping to find the do-together activities and updates you currently find on NickJr.com? Follow Nick Jr. USA on Pinterest for birthday party ideas, recipes, crafts, and more that feature your kid's beloved Nick Jr. characters. You can also like Nick Jr. on Facebook and follow @NickJr on Twitter to keep up-to-date on new episodes, shows, & products. Additionally, to celebrate Nick Jr. USA starting to premiere and show "Fresh Beat Band of Spies", a brand-new animated series based on the hit live-action show, "The Fresh Beat Band", from Monday 15th June 2015, NickJr.com has unveiled a brand-new online game, Mummy Museum Mayhem! Follow NickALive! on Twitter, Tumblr, Google+, via RSS, on Instagram, and/or Facebook for the latest Nickelodeon, Nick Jr. USA and Fresh Beat Band of Spies News and Highlights! 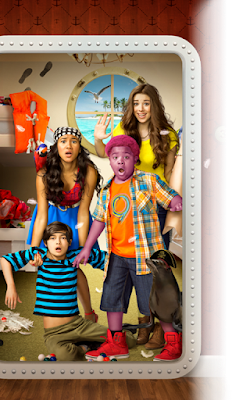 Nickelodeon USA has announced the exciting news in their new trailer/promo that Nick USA will premiere Nickelodeon's brand-new original TV movie "One Crazy Cruise" on Friday 19th June 2015 at 8:00pm ET/PT! UPDATE (6/4): Added Nickelodeon USA's "One Crazy Cruise" promo below! In Nick's all-new film, "One Crazy Cruise", (formally titled "Tripwrecked"), the Jensens and the Bauers are now the Jensen-Bauers, and they're going on a cruise to bring the family together! After one crazy night leads to an even crazier next day, the newly formed siblings must figure out what happened to them and how to put things back to normal before Mom and Dad find out. The kids have no choice but to work together and find answers to some super wacky questions. It'll take a family trip at sea to come together and have an adventure they will never remember. 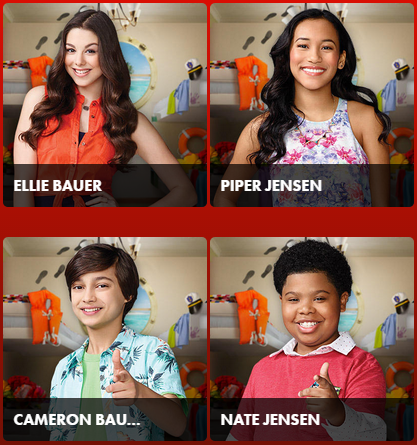 To celebrate Nickelodeon USA debuting Nick's all-new film, Nick USA's official website has launched the networks official "One Crazy Cruise" website, nick.com/onecrazycruise, which features information about the movie, bios for each character in "One Crazy Cruise" - Ellie Bauer (Kira Kosarin, "The Thundermans"), Piper Jensen (Sydney Park, "Instant Mom"), Cameron Bauer (Rio Mangini, "Bella and the Bulldogs") and Nate Jensen (Benjamin Flores Jr., "The Haunted Hathaways") - plus a exclusive sneak peek video featuring a preview of "One Crazy Cruise", and Nickelodeon's official message board/forum, where fans can talk about Nick's new movie! Nick.com will also unveil a photo gallery featuring pictures from "One Crazy Cruise" very soon! "One Crazy Cruise" also features Sedona James/Cohen ("Henry Danger") as Melina, Ken Tremblett ("Caitlin's Way") as Dad, Karen Holness ("Make It Pop") as Mom, and Erika Forest ("A Fairly Odd Christmas")! Original source: ToonZone forum member kanc. Follow NickALive! on Twitter, Tumblr, Google+, via RSS, on Instagram, and/or Facebook for the latest Nickelodeon and One Crazy Cruise News and Highlights! To celebrate Nickelodeon USA starting to premiere and show "Talia in the Kitchen", Nickelodeon's brand-new daily scripted series, weekdays from Monday 6th July 2015, Nick.com has launched the networks official "Talia in the Kitchen" show website, nick.com/taliainthekitchen! Nick USA's official "Talia in the Kitchen" webpage features information about Nick's all-new show, character bios for Talia Parra, Talia's best friend Valerie Landry, Tyson Fuccinelli and his twin sister Debbie Fuccinelli, and Talia's downstairs neighbor Rudy Rosales, a exclusive online streaming video clip titled "A Surprise for Talia" featuring a sneak-peek preview of Nick's brand-new series (Cinnamon in Eggs, who's ever heard of such a thing! ), and the shows official message board/forum! Nick.com will also unveil a photo gallery featuring pictures from "Talia in the Kitchen" very soon! 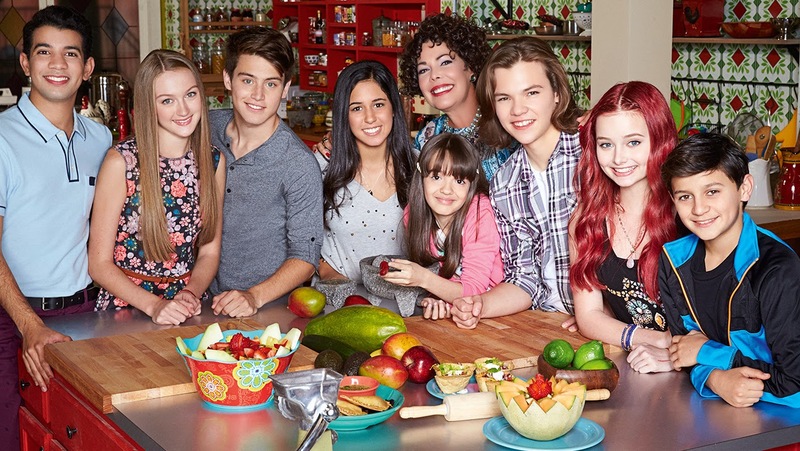 Inspired by the daily telenovela format, Nickelodeon's all-new live-action series (formally titled "Talia's Kitchen") centers on 14-year-old Talia, who moves in with her grandmother and starts spending time in the kitchen of their family-owned restaurant, where she discovers her true calling: cooking. With the help of her special "salt and pepper sense" - and her late father's magical spices - Talia is able to infuse emotion into her food to whip up some truly life changing cuisine and cook just what each customer needs. She's making magic in the kitchen! "Talia in the Kitchen" (40 episodes) is created by Catharina Ledeboer and produced by Viacom International. Tatiana Rodriguez will serve as Executive Producer. Nickelodeon star Tyler Alvarez has announced the magical Nick News in a post on his official Instagram profile page that Nickelodeon USA will start to premiere and show brand-new episodes from the all-new fourth season of "Every Witch Way" weeknights from Monday 6th July 2015! Season four of "Every Witch Way" promises to have more spells, more laughs, more romance and more awesomeness than ever! Nickelodeon star Zoey Burger recently revealed that the fourth season of Nickelodeon's hit spell-binding fantasy television series "Every Witch Way" will feature TWO new characters! Jessie Novoa is Jax's long lost younger sister. Jessie doesn't have her powers yet, but she can't wait to get them. Jake Novoa is Jax's father, a charming yet dangerous wizard who is obsessed with power. Are you a big fan of Cat Valentine? Do you love "Sam & Cat" and "Victorious"? If so, get ready for The Cat Valentine Takeover! This June, Cat Valentine is taking over Nickelodeon UK and Nick.co.uk in "The Cat Valentine Takeover"! Throughout June, Nickelodeon UK & Ireland is giving you the chance to vote for your favourite Cat Valentine moment! Cat has got up to the most hilarious antics so you'll have plenty to choose from! Tune into Nickelodeon UK & Ireland/HD every weekend to see classic episodes of "Victorious" and "Sam & Cat", then pop to nick.co.uk/votecat to watch and vote for your favourite laugh out loud Cat moments! Fans can vote from the "Victorious" episodes "Cat's New Boyfriend", "Survival of the Hottest", "Andre's Horrible Girl", "Car, Rain, and Fire", "Tori & Jade's Playdate", "Driving Tori Crazy", "How Trina Got In", "The Blonde Squad", "Three Girls and a Moose" and "One Thousand Berry Balls", and from the "Sam & Cat" episodes "#TheBritBrats" (guest starring Sophia Grace Brownlee & Rosie McClelland), "#BabysitterWar", "#ToddlerClimbing", "#RevengeOfTheBritBrats" (guest starring Sophia Grace Brownlee & Rosie McClelland), "#BabysittingCommercial", "#PeezyB" (guest starring Kel Mitchell), "#MagicATM", "#DroneBabyDrone" and "#FirstClassProblems" (guest starring Jessica Chaffin from "Zoey 101" and Josh Server from "All That"/"ComedyZone"/"Nick.Comedy" and "Good Burger")! Got more than one favourite? Don't worry, you can vote for as many videos as you like! The vote closes on the Sunday 21st June 2015 and the Top 10 Cat Valentine moments as picked by fans will be shown on Nick on Saturday 27th June 2015! So what are you waiting for?! Get voting!! Kira Kosarin And Jack Griffo To Host Nickelodeon Australia And New Zealand's "Camp Orange: Twisted Siblings"
Nickelodeon Australia and New Zealand's award-winning adventure reality series is back for another stomach-turning, thrill-full, turbulent and majorly twisted season – "Camp Orange: Twisted Siblings"! Nickelodeon Australia and New Zealand will start to premiere and show "Camp Orange: Twisted Siblings", the eleventh season of Nick AU & NZ's adventure reality series "Camp Orange", the slimiest TV show on the planet, every Saturday at 5:30pm from Saturday 27th June 2015, as part of "All New Saturdays"! For the first time, Campers will be made up of super sibling duos from Australia and New Zealand who will take on the slimiest, smelliest and sickest challenges in the show's history! "Camp Orange: Twisted Siblings" takes a turn on reality, turning up the gross-factor and seriously testing the threshold of sibling bonds by pitting four teams of siblings against each other in a series of some of the grossest, most fun challenges ever devised. In "Camp Orange" 2015, campers will vie for the chance to be crowned Nickelodeon's Star Siblings, the most twisted siblings in the history of "Camp Orange" as voted by NickHeads watching at home. Among the prizes, the winning team will also score a recurring role on the channel! Nickelodeon Australia and New Zealand will be turning up the drama, suspense and excitement to the max in the eleventh season of their multi-award winning flagship local production, "Camp Orange", by filming the finale of called "Camp Orange: Twisted Siblings" in front of a live audience! Nickelodeon will announce the teams competing in "Camp Orange: Twisted Siblings" closer to "Camp Orange" 2015's debut. 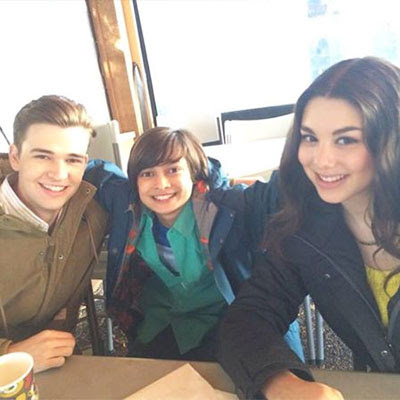 In "The Thundermans", Kira Kosarin and Jack Griffo portray superhero twins Phoebe and and Max, respectively. Follow NickALive! on Twitter, Tumblr, Google+, via RSS, on Instagram, and/or Facebook for the latest Nickelodeon Australia & New Zealand and Camp Orange Twisted Siblings News and Highlights! The television news website The Futon Critic is reporting the exciting Nick News that Nickelodeon USA will premiere and show the brand-new episode of Nickelodeon and Breakthrough Entertainment's popular live-action buddy-comedy series "Max & Shred" titled "The Slopestyle Syrup Slob" (#125) on Saturday 27th June 2015 at 9:30pm ET/PT, following the debut of "The Thundermans" season three! It is currently unknown whether Nick USA will continue to debut more new episodes Saturdays from 5/27. "Max & Shred", produced by Breakthrough Entertainment, chronicles the hilarious and unlikely friendship between Max Asher (Jonny Gray), a celebrity snowboarder, and Alvin "Shred" Ackerman (Jake Goodman, "Life with Boys"), a science whiz-kid, who become roommates and instant "bros" when Max moves to Colorado to train for the Winter Cup. The two boys must work to become friends and learn to navigate the trials of teenage life from completely opposite points of view. 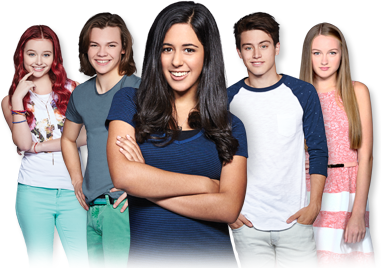 Nickelodeon and YTV recently renewed the series for a second season, which is currently in production. Follow NickALive! on Twitter, Tumblr, Google+, via RSS, on Instagram, and/or Facebook for the latest Nickelodeon and Max & Shred News and Highlights! The television news website The Futon Critic is reporting the exciting Nick News that Nickelodeon USA will start to premiere and show the brand-new third season of the networks hit original comedy series "The Thundermans" from Saturday 27th June 2015 at 9:00pm ET/PT, starting with the all-new episode "Phoebe Vs. Max: The Sequel" (#302)! At the end of season two, the Thundermans welcomed a new arrival to the Thunderfam - Phoebe (Kira Kosarin), Max (Jack Griffo), Billy (Diego Velazquez) and Nora's (Addison Riecke) brand-new baby sister Chloe Thunderman! In season three of "The Thundermans", the family of superheroes must confront their new family dynamic that has changed their lives forever. Additionally, Phoebes' relationship with Cherry also changes massively this season now that Cherry knows the family secret. "The Thundermans" is created and executive produced by Jed Spingarn and executive produced by David Hoge and Dan Cross. Nickelodeon star Kira Kosarin has announced in a Tweet on her official Twitter profile page, ‏@KiraKosarin, that Nickelodeon USA will premiere her brand-new Nickelodeon original TV movie "One Crazy Cruise" in a few weeks"! To celebrate Nickelodeon USA debuting Nick's all-new film, Nick USA's official website has launched the networks official "One Crazy Cruise" website, nick.com/onecrazycruise, which features information about the movie, bios for each character in "One Crazy Cruise" - Ellie Bauer (Kira Kosarin, "The Thundermans"), Piper Jensen (Sydney Park, "Instant Mom"), Cameron Bauer (Rio Mangini, "Bella and the Bulldogs") and Nate Jensen (Benjamin Flores Jr., "The Haunted Hathaways") - plus a exclusive sneak peek video featuring a preview of "One Crazy Cruise", and Nickelodeon's official message board/forum, where fans can talk about Nick's new movie! Nick.com will also unveil a photo gallery featuring pictures from "One Crazy Cruise" very soon! Original source: ToonZone forums member Poweranimals. Love Ariana Grande? You HAVE to Meet Nick's Next Triple Threat! How awesome was Cat Valentine? Better yet, how awesome is Ariana Grande?! 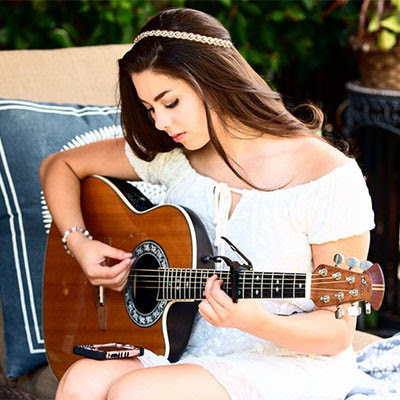 We have a feeling that's what we all will be saying about 17-year-old Nickelodeon superstar, Kira Kosarin. She's the star of The Thundermans and even snagged a role in what we are sure will be the most LOL TV movie of the summer, One Crazy Cruise. Oh, and did we mention that she has a killer voice? Recently, we had the chance to grab this star — when she wasn't too busy filming, dancing, learning lines or just trying to be a normal teen — and she told us all about upcoming projects and more. 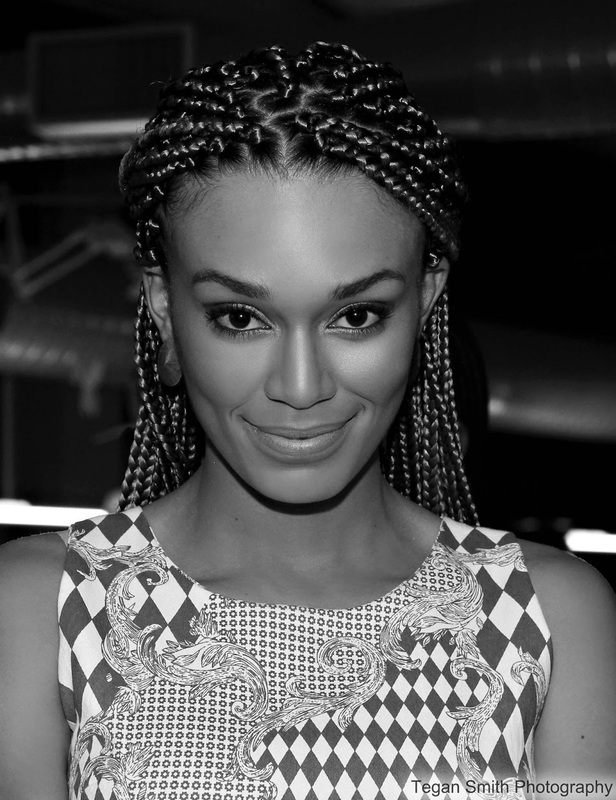 It's only a matter of time until she becomes a household name. When the inevitable happens, we can't wait to say, "told you so!" Congratulations on One Crazy Cruise! Could you tell our readers a little bit about the movie? "Thank you! I'm really excited for it to come out. I play Ellie, who is really different from The Thundermans' Phoebe. The movie is fun. It’s about a blended family — brother and sister, brother and sister — who don't necessarily get along. They have to come together to solve this mystery that affects all of them. They get hypnotized while on a cruise and wake up and have been ransacked by pirates. They basically spend the rest of the movie trying to figure out what happened while they were sleeping. It's really cute. It's a really fun, family film and I'm excited for people to see it." What could you tell us about Ellie? "Ellie is very, very smart, kind of too smart for her own good at times. She's very painfully shy and a little bit neurotic. She has to overcome that shyness and show the creativity that she has. She's really creative and talented and she just has it all hidden away because she's so shy. So she spends the movie trying to pull that out." One Crazy Cruise has an all-star Nick cast. Was it a fun environment to work in? "It does! Yeah, it's very cool. What's fun for all of us to work together is that we get to play different characters than what we play every single day. They pulled together Sydney (Park) from Instant Mom, Lil' P-Nut (Benjamin Flores Jr.) from The Haunted Hathaways and Rio (Mangini) from Bella and the Bull Dogs. It's really cool for the four of us from different shows to come together. We also had Sedona James on the cast and she is really lovely, so it was great to get to meet her. It was a really great cast." The movie revolves around a wild family vacation, but what was the craziest memory you have from filming? "Well, the movie takes place in the Caribbean, but, we shot in Vancouver where it was freezing! And raining! And cold! We had to be in tang tops, shorts and flip flops because we're dressed for a summer Caribbean vacation. We had a scene that was outside and it was like 28 degrees that day and raining! It was raining so lightly that you couldn't see it on camera so we were still able to shoot. There was this huge fan blowing on us. In the movie it just looks like it's this beautiful day during summer vacation, but it was so cold. We had little mini heat packs stuffed in our clothing wherever we could. It was really funny. I even had a scene where I had to fall into the water. We had a heated pool and there was steam coming from it because it was so much warmer in the pool than it actually was outside. I'm excited to see how it all looks. The magic of movies will make it seem like it really is a perfect summer vacation." Let's talk The Thundermans. The third season just aired last month. What can fans expect to see this season? "We just started working on the third season so we are kind of learning as we go what's happening for this season. I heard some rumors that Max will be getting some love interests which I'm really excited to see. And, Phoebes' relationship with Cherry obviously changes massively this season now that Cherry knows the family secret. It's just a whole new thing. We get to have so many fun new story lines with Phoebe and Chloe. There's a new Thunderman in the house and it's definitely changing things up this season! The girl they got to play her is absolutely incredible and we're having a lot of fun shooting with her." Besides the whole superhero thing, do you feel like you and Phoebe are a lot a like? "Yeah, Jack (Griffo) and I always joke that our characters are just heightened versions of ourselves. I get moments of massive clumsiness, nerdiness, I get shy around boys... and Phoebe is a combination of all those moments to an extreme. She gets really nervous and talks really fast, like I do. She's also a ballerina — that comes back in the third season. We have another appearance of that just because the writers know I am a ballerina. I actually just got back from ballet class as we speak! So, they wrote that in. I also think that Max and Phoebe's relationship is similar to Jack and mine's to an extent. We bicker like brother and sister and also love each other at the end of the day." It sounds like a great environment! "It really is. We always say how lucky we are. Because that's not always the case everywhere you go. We're very grateful that we have such a tight-knit family." Thunder Girl has a bunch of different super powers, but what super power would you want in real life? "I have a couple of answers to this question. Realistically, I would love to have the power to heal people or some amazing power that could save the world. Selfishly, I want to be able to teleport and fly so that I could travel the world without really long airplane flights. In the past six months I've had like eight different 15 hour flights. So, it would be really nice to skip that. Plus, who doesn't want to fly? How awesome would that be?" Phoebe has some pretty big crushes. What's the most embarrassing thing that's ever happened to you in front of your crush? "Oh, yes, so many! One comes to mind. When I first started hanging out with my current boyfriend — we first met after hanging out as friends for a few weeks — we went to dinner after a live taping of the show. It was us two and Jack and his girlfriend and our parents. We were all hanging out. I really liked him and was really awkward. I spilled a full glass of water on his lap! Then, the next week I spilled coffee on his lap. I still wonder sometimes why he puts up with me. We have this constant joke that I've poked him in the eye so many times. He's dating a klutz. I fully am aware of my klutziness. What can I say? It's my kryptonite." Phoebe is trying her best to navigate her way through high school. What advice do you have for teens that are in the same boat? "You know, that's hard. Honestly, I wish I had all the answers to high school. When I was in high school I wanted someone to give me all the answers to it. But, you can't. It's different for everyone and you kind of have to figure out what works for you." Switching gears a little bit, you've posted a bunch of covers on your YouTube channel. Are there any current songs you would like to cover? "Yeah, I know I did those a while ago. I want to get back to posting covers because there are a lot of great songs I want to do. It's been really hard trying to do that and The Thundermans. That's taking up a lot of my time right now. And I'm doing some post work on One Crazy Cruise, so I have a lot of stuff going on in the acting world right now. I'm still trying to dance and go to yoga and spend time with my friends, too. If you don't leave yourself time to do the things that you love you burn out really quickly. So, I'm trying to the best I can!" "Yes, actually I do! I did a little guest star on a little show which I don't know if it has been released yet. So, keep your eyes open. In the next six to eight months you'll be seeing me as a character other than Phoebe or Ellie." Original source: ToonZone forums member Rex Kamex. Follow NickALive! on Twitter, Tumblr, Google+, via RSS, on Instagram, and/or Facebook for the latest Nickelodeon, One Crazy Cruise and The Thundermans News and Highlights! Miguel Gonzalez, a Background Artist at Nickelodeon Animation Studio, has announced the very exciting news in a post on his official Tumblr blog that Nickelodeon USA is planning to start to premiere and show Nickelodeon's brand-new original animated series (NickToon) "Pig Goat Banana Cricket" in October 2015! To celebrate, Miguel has shared some of the fantastic background artwork he has created for "Pig Goat Banana Cricket" on his Tumbler blog, including the background for a scene in the shows opening titles! "Pig Goat Banana Cricket" features a series of absurd interwoven stories about four friends and roommates, naive Pig (the fool), bohemian Goat (the artist), selfish Banana (the wise-guy) and mad scientist Cricket (the brain). Created by Dave Cooper and Johnny Ryan, established comic artists who worked on several issues of Nickelodeon Magazine, and executive produced by David Sacks ("The Simpsons", "Regular Show") who co-writes with J. Ryan. Dave Cooper also art directs the series and the pilot was directed by independent animator Nick Cross. Additionally, to celebrate his brand-new original Nickelodeon animated series (Nicktoon) "The Loud House", Chris Savino has posted some artwork and behind-the-scenes photos from the production of Nick's all-new Nicktoon on his official Instagram profile page! Chris has also announced that the last episode of the first season of "The Loud House" will be titled "Loud Loud Loud House"! Inspired by first-time creator Chris Savino's ("Rocko's Modern Life", "The Powerpuff Girls") chaotic life growing up in a huge household, the series will follow 11-year-old Lincoln as he gives an inside look at what it takes to survive in the bedlam of a large family, especially as the only boy with 10 sisters. The series is based off a short of the same name from Nickelodeon's 2013 Animated Shorts Program, and is scheduled to debut on Nick USA in January 2016. You can watch a online streaming video clip featuring Chris Savino's original Nickelodeon 2013 Animated Shorts Program short here on NickALive!. Follow NickALive! on Twitter, Tumblr, Google+, via RSS, on Instagram, and/or Facebook for the latest Nickelodeon, Pig Goat Banana Cricket and The Loud House News and Highlights! 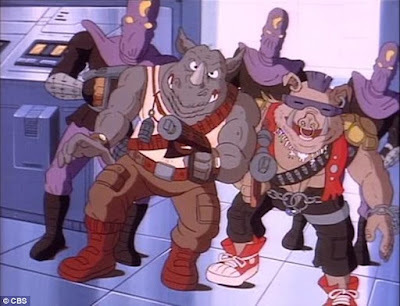 Shredder, Bebop, Rocksteady And Karai Spotted On The Set Of "Teenage Mutant Ninja Turtles 2"
The Daily Mail Online is reporting the Turtley Awesome news that Shredder, Bebop and Rocksteady have been spotted on the set of Nickelodeon Movies, Paramount Pictures and Platinum Dunes' "Teenage Mutant Ninja Turtles 2" for the first time! 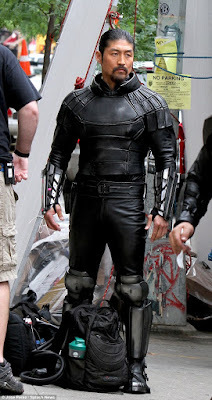 The bad guys of the iconic mutant franchise were spotted on the sequel's set for the first time on Tuesday 26th May 2015. Shredder was back, this time played by Brian Tee, and he was joined by iconic criminal duo Bebop and Rocksteady in New York. While fans will no doubt be very excited to see the twosome, who did not make the cut for the 2014 release, the baddies looked very different. Namely they were not mutant Zoo animals. In the original 1980s cartoon series and Nickelodeon's hit CG-animated "Teenage Mutant Ninja Turtles" series, Bebop and Rocksteady being portrayed by Gary Anthony Williams and pro wrestler Sheamus in TMNT 2, are a humanoid Warthog and Rhinoceros, respectively. There is still a chance that fans will be able to get nostalgic as everything else about the pair seemed to match the original, suggesting they may be turned into mutants as part of the storyline. 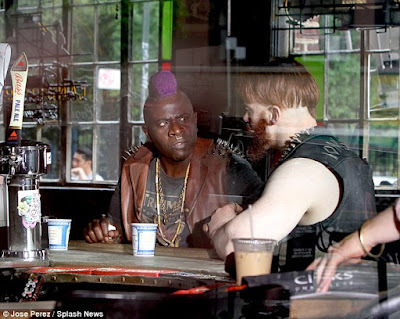 For the day of filming, the pair was seen conversing in a cafe with Gary Anthony sporting Beepop's iconic purple mohawk. The characters were meant to appear in the first film but were then written out with the intention of them bringing something new to the sequel. The two bad guys form part of the ultimate bad guy Shredder's Foot Clan. The new Shredder was on set for the first time on Wednesday also. 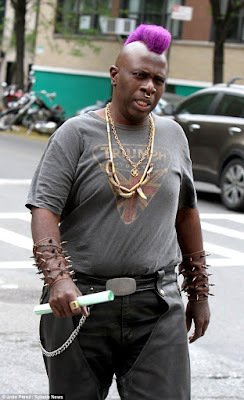 Stepping as the head bad dude, Brain was dressed in full battle worthy leathers with the character's signature spiked arm guards - which appeared to have the razor sharp spikes retracted - along with metal shin and knee guards. He was not wearing Shredder's scary helmet and face mask as that is no doubt the last piece of the costume to go on before filming. Just hours after it was announced she was joining the film, Brittany Ishibashi was also on set. The 34-year-old actress will play Shredder's daughter Karai and was dressed in a female version of her on-screen father's look. The form fitting body suit features leather breast as well as leather panels on her shoulders, arms and legs. The formidable force of bad guys will be, of course, facing off against the Teenage Mutant Ninja Turtles and their reporter pal April, played by Megan Fox when the film hits theatres June 3, 2016. Also returning is Will Farell as Vernon Fenwick, who gets a new love interest in supermodel Alessandra Ambrosio. Other new cast members include Laura Linney, Stephen Amell and Tyler Perry as the evil humanoid fly scientist Baxter Stockman. You can find more photos from behind-the-scenes of "Teenage Mutant Ninja Turtles 2" here on ComingSoon.net! To celebrate, nicktv.it has launched Nickelodeon Italia's official "Harvey Beaks" show website, which features information about the show, character bios for Harvey, Fee and Foo, and exclusive online streaming video clips! Follow NickALive! on Twitter, Tumblr, Google+, via RSS, on Instagram, and/or Facebook for the latest Nickelodeon Italy and Harvey Beaks News and Highlights! 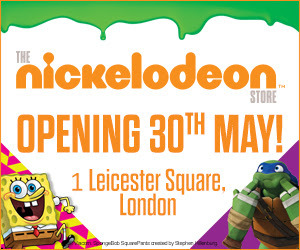 To celebrate the grand opening of Nickelodeon's first flagship Nickelodeon Store in Leicester Square, one of London's premier tourism and retail destinations, on Saturday 30th May 2015, Nickelodeon will be holding a exclusive VIP pre-opening event at the new Nickelodeon Store on Friday 29th May 2015! As part of Nickelodeon's exclusive Nickelodeon Store VIP pre-opening event, UKMums.tv has partnered with Nickelodeon UK to hold the Nickelodeon Store Twitter Frenzy, in which between 11:00am and 12:30pm on Friday 29th May 2015, hosts of the Twitter frenzy, including Sunshine On A Cloudy Day, will be posting the latest news and gossip from Nickelodeon's very special Nickelodeon Store pre-opening event, as well as posting exclusive photos from the Nickelodeon Store and holding fantastic competitions! Plus, remember to follow the Twitter hashtag #nickstore and the Nickelodeon Store's official Twitter profile page @NickStoreLondon for the very latest! To further celebrate the opening of the Nickelodeon Store, Nickelodeon will be holding a special celebrity party from 5:45pm on Friday 29th May 2015! Celebrities rumoured to attend including Pasha Bocarie (Rakesh Kotecha in "Emmerdale"), Diversity (street dance winners "Britain's Got Talent" 2009), Alicia Eyo (Ruby Haswell in "Emmerdale"), Adam Fielding (Kirin Kotecha in "Emmerdale"), Anais Gallagher (model, daughter of Meg Matthews & Noel Gallagher), Kate Garraway (TV presenter), Iain Glen (Ser Jorah Mormont in "Game of Thrones"), Raphael Gomes (YouTube blogger), Julian Ovenden (West End actor, singer), Bhasker Patel (Rishi Sharma in "Emmerdale"), Gaby Roslin (TV presenter), and Imogen Thomas (actress)! 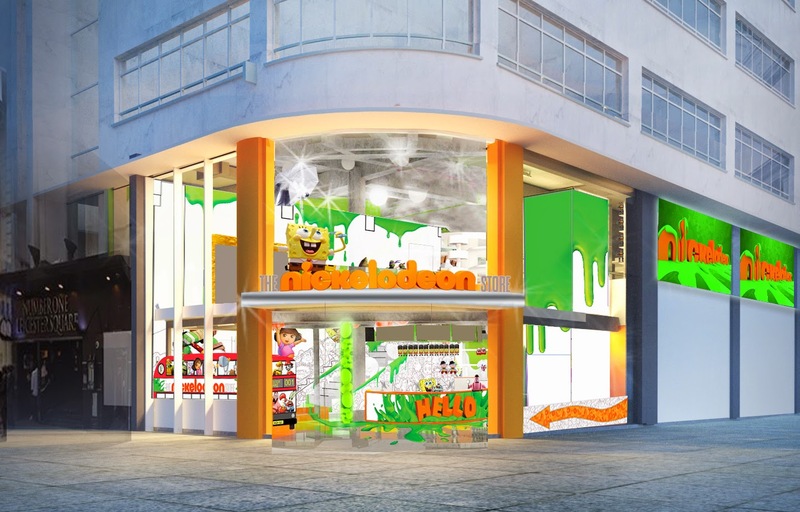 Located at 1 Leicester Square, the Nickelodeon store will feature state-of-the-art multimedia and interactive elements. The store presents a glass frontage of 1250 square metres looking out onto Leicester Square with 40 LCD screens within the store creating a compelling showcase for The Nickelodeon brand. The product range within the store will feature a broad array of more than 600 products across all key categories with 80% of store product created by Entertainment Retail Enterprises in partnership with Nickelodeon and exclusive to the Nickelodeon Stores. The Leicester Square store will also include London-limited lines as well as product from a selection of global NVCP licensees. Bursting with technology and interactive content, specially designed in-store zones will bring Nickelodeon's world famous characters and properties to life. A green slime staircase will take shoppers up to Bikini Bottom where they can come face to face with the world's favourite sponge in daily meet and greets with a life-size SpongeBob SquarePants costume character. 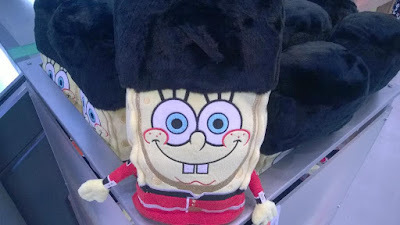 Additionally, the store will offer a preschool zone, a New York City skyline graffiti-decorated Teenage Mutant Ninja Turtle area, and Union Jack-branded gifting, stationery, apparel, homeware and souvenirs. Recognising London as the world's most global city and Leicester Square as a top tourist attraction with projected tourist footfall set to hit 18 million in 2015, the store's 70-strong staff will provide capability in at least twelve different world languages. The store will open daily from 10am-9pm with extended operating hours in the evening at weekends. To celebrate, nickelodeon.fr recently launched Nickelodeon France's official "Harvey Beaks" show website, which features information about the show, character bios for Harvey, Fee and Foo, and exclusive video clips! Follow NickALive! on Twitter, Tumblr, Google+, via RSS, on Instagram, and/or Facebook for all the latest Nickelodeon France and Harvey Beaks News and Highlights! When the Bulldogs make the playoffs, they realize just how good they've got it. Fancy locker room, new friends, new hairstyles — but something's got to give, right? Get your bark on and don't miss the season finale of "Bella and The Bulldogs" season one, airing this Saturday at 8/7c, only on Nickelodeon USA! In the brand-new "Nicky, Ricky, Dicky & Dawn" episode "No Ifs, Ands, or But-ers", the quads turn their garage into an awesome hangout space, improving their social status! Get ready to nerd out with Dork Father Science Bob as he swings by this week's episode of "Nicky Ricky, Dicky and Dawn", airing this Saturday at 8:30/7:30c, followed by a preview of Nickelodeon's brand-new live-action original comedy series "100 Things to Do Before High School", titled "Start a Garage Band Thing! ", at 9:00pm ET/PT, only on Nickelodeon USA! This Saturday is the season finale of Bella and The Bulldogs! But there's some trouble brewing on the football field as Bella (Brec Bassinger) gets benched for not being a boy, preventing her from playing the Bulldogs' first playoff game. Is an outdated rule going to bench Bella or can her teammates get her back in the game? Find out in the "Bella and The Bulldogs" season one finale "No Girls Allowed", premiering Saturday 30th May 2015 at the new time of 8:00pm ET/PT (7c), only on Nickelodeon USA! Following the shows first season finale, Bella and teammates will be back with a second season of "Bella and The Bulldogs" very soon, only on Nickelodeon! YTV is starting the summer off with new episodes of fan favourite series such as Game On and Max & Shred in June, followed in July by new episodes of Some Assembly Required and Teenage Mutant Ninja Turtles. Beginning on Monday, July 6, YTV's The Zone will be leaving the studio and taking viewers on a Summer Road Trip to towns and cities across Canada. Additionally, YTV will treat viewers to Big Fun Movies, including YTV premieres of Madagascar 3: Europe's Most Wanted, The Prince of Egypt, Splitting Adam and RV. The Zone is going on an exciting cross-Canada road trip this summer to visit fans in towns and cities from the Maritimes to British Columbia. For three weeks, The Zone will hit the highway on a mission to see the best roadside attractions that Canada has to offer. Along the way, host Carlos and correspondents Suki, Lisa and Victor will experience great Canadian summer traditions happening in small towns, big cities, national parks, fairs, festivals and everything in between. The Zone Summer Road Trip airs weekdays from 4 p.m. to 6 p.m. ET/PT, beginning Monday, July 6. On Sunday, June 21, YTV has a lineup of fatherly themed episodes of popular series including Kung Fu Panda, The Thundermans and The Stanley Dynamic from 9 a.m. ET/PT to 2 p.m. ET/PT, followed by back-to-back centric Big Fun Movies that feature outstanding Dads, including Daddy Day Camp, Diary of a Wimpy Kid: Dog Days and The Smurfs. Nickelodeon is ushering in summer with special marathons scheduled to celebrate Father's Day and Canada Day. Kids won't want to miss the Nickelodeon premiere of Every Witch Way, as well as new episodes of their favourite shows Peter Rabbit, Blaze & The Monster Machines and Legend of Korra, Book 4: Balance. This June and July, Treehouse has special programming planned for Father's Day, Canada Day, as well celebrating sports and activity in July. The channel also has a schedule stacked with new episodes of favourite series including Dora & Friends, Bubble Guppies and My Little Pony. Treehouse is hosting a birthday fiesta with celebration-themed episodes of Dora & Friends, Peg + Cat, Mike the Knight and Bubble Guppies on Wednesday, July 1 from 9 a.m. to 5 p.m. Kids can also learn about Canada with episodes Are We There Yet: World Adventure airing in the schedule throughout the day. In the spirit of being active and celebrating international competition, Treehouse will feature special sports-themed episodes of Dora the Explorer from Monday, July 13 to Wednesday, July 17. Big thanks to dcbanners3 for the news! Girls Preschool Series Comes to Life with Clothing, Bedding and Accessories! 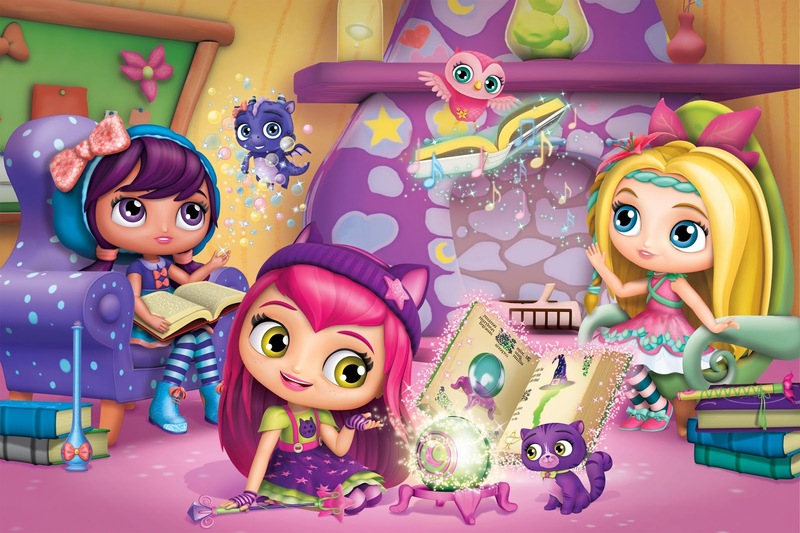 (Toronto, Canada) Corus Entertainment's Nelvana, today announced the addition of five industry-leading softlines licensees to its growing roster of Little Charmers partners. Joining the existing array of top tier licensees are The Bentex Group with their divisions of Extreme Concepts, Dreamwave and H.I.S. International (Master Apparel), SG Companies (SGI Apparel Group - Sleepwear and SG Footwear - Footwear), Franco Manufacturing (Juvenile Bedding and Bath), Accessory Innovations (Backpacks and Bags) and Fantasia Accessories Ltd (Jewelry, Hair Accessories, Headwear, Hand wear and Rainwear). Previously announced licensees include global English-language publishing partner, Scholastic, Rubie's Costume Company (Halloween Costumes), Baby Boom Consumer Products (Toddler Bedding and Bath), and Bakery Crafts (Cake Décor). The raft of new licensees follows the stellar ratings Little Charmers has seen since its launch this winter on Nickelodeon in the U.S. and on Treehouse in Canada. Production and master toy partner, Spin Master, will launch their imaginative Little Charmers toy collection to mass retail in fall 2015. The full toy range will include mini figurines, plush, dolls and role play for kids age two to five. Little Charmers, produced by Nelvana and Spin Master, takes place in the whimsical land of Charmville where three "Charmers-In-Training" embark on spellbinding adventures using their new magical powers that always seem to cause more problems than they solve. Visit representatives of Nelvana Enterprises at Las Vegas Licensing Expo at Booth J166. Nelvana is a world-leading international producer and distributor of children's animated and live-action content. Nelvana produces a stable of award-winning and globally renowned brands that focus on comedies, preschool and boys action series and ancillary consumer products programs. Nelvana's content airs on Corus Entertainment's kids channels in Canada and in over 160 countries around the world. The Nelvana library has well over 4,000 episodes of programming and has received over 70 major international program awards including Emmys® and Geminis. Visit the Nelvana website at www.nelvana.com. A multi-category children's entertainment company, Spin Master has been designing, developing, manufacturing, and marketing consumer products for children around the world since 1994 and is recognized as a global leader within the toy industry. Spin Master is best known for award winning, innovative brands including action phenomena Bakugan Battle Brawlers™, Zoomer™, Air Hogs®, and Spin Master Games™ including 2014 Game of the Year, Boom Boom Balloon ™. In 2013 Spin Master acquired the international Meccano™ brand and has re-launched the brand with the iconic Meccanoid G15 KS™, introducing robotics and embracing the global Science, Technology, Engineering, and Math (STEM) movement. In 2015 the company expanded its reach within children's media and entertainment, launching SpindoTV, a YouTube channel dedicated to broadcasting Spin Master Entertainment's original television and media properties, including the hit animated preschool series, PAW Patrol™. Spin Master employs over 900 people with offices in Toronto, Los Angeles, London, Paris, Hong Kong, Mexico City, Munich, and Milan. Follow NickALive! on Twitter, Tumblr, Google+, via RSS, on Instagram, and/or Facebook for the latest Nickelodeon Preschool, Nick Jr. and Little Charmers News and Highlights! Take the family on a vacation to remember – to the Mexican Caribbean with Dora the Explorer and SpongeBob SquarePants. It's easy to do for members of worldwide vacation exchange leader DAE. Thanks to its partnership with Azul Hotels by Karisma, DAE is offering timeshare owners tremendous value and family fun in one of the world's most sought-after destinations. DAE is one of the largest independent timeshare exchange providers with offices across the globe. Azul Hotels is a premier collection of family-friendly, Gourmet Inclusive® hotels in the Riviera Maya. The stylish properties feature spacious suites, a kids' club, teen club, splash parks and grownup luxuries. Think Jacuzzi swim-up suites, à la carte dining, premium spirits, full-service concierge, 24-hour room service, adults-only swimming and lounging areas, nightly entertainment and more. This summer, the group will put a playful spin on vacations in paradise when it launches its Nickelodeon Experience at Azul Hotels by Karisma. The one-of-a-kind experience will pair white-sand beaches and gourmet dining with character breakfasts, parties and palling around with Nickelodeon's most beloved characters. The fun will be available to guests at three award-winning Riviera Maya properties: Azul Beach Hotel, Azul Sensatori Mexico and Azul Fives Hotel. "We're excited to bring this adventure to timeshare owners across the globe," says Corbett Howard, Vice President of Operations, USA Office. "DAE is always looking outside the box for ways to add value to vacation ownership. The Nickelodeon Experience at Azul Hotels does just that – improving the owner experience, along with adding an innovative new program at exceptional hotels to DAE's portfolio for current members to exchange into. "DAE's simple, straightforward approach to timeshare exchange has great appeal to our membership," Howard adds. "We're delighted that owners have access to DAE's vast exchange network, giving them tremendous choice in their vacations, not just in the Riviera Maya, but around the world." From Sliming to delectable dining, the Nickelodeon Experience at Azul Hotels will offer something to delight every member of the family. Playtime in Paradise – The fun will begin with a custom check-in. Parents will receive a welcome glass of champagne, while children will enjoy a Slime smoothie. En route to their room or to the pool or beach, guests will likely see SpongeBob SquarePants, Dora the Explorer, Teenage Mutant Ninja Turtles and others. Meet & Greets and Photo Opps also will be available for private bookings and on the Nickelodeon Orange Carpet. Whether it's scheduling a private Sliming or a breakfast with Nickelodeon A-Listers, the Nickelodeon Concierge will help arrange lively Nick activities. Fun for Foodies – For food-loving families, the Karisma Gourmet Inclusive® Experience at Azul Hotels features à la carte dining, Mojito tastings and innovative 12-course meals. Rooftop barbecues, s'more parties on the beach and 24-hour room service expand on restaurant dining. Add to that, healthy Nick-inspired funny food options, ice cream with SpongeBob or pizza with a high-fiving Michelangelo. Families also will be able to sign up for special Character Breakfasts to savor a nutritious meal mixed with dancing and photo shoots with favorite Nickelodeon friends. Party On! – Fantastical Azul Parties will combine mouthwatering cuisine, great music and celebrity sightings: Nickelodeon characters will perform to their theme songs and stick around to meet all the guests. Azulitos Playhouse by Nickelodeon – This hub for the Nickelodeon Experience at Azul Hotels will be home to the kids club, featuring favorite characters, signature activities, themed water play areas, and playground. Young guests will have fun with themed activities planned for every day and supervised by trained professionals. While little ones are busy, grownups will indulge in Azul Hotel luxuries, including Gourmet Inclusive cuisine, Signature Beachfront Sky Massages and rest and relaxation on the beautiful crystal-clear blue beaches of the Riviera Maya. DAE has grown significantly since it first opened its doors in 1997. A strong focus on quality customer service has led to their continued growth as over 50% of their new memberships have been the result of personal referrals. Today, the company services over 1.5 million timeshare owners (including 550,000 direct members) at resorts and clubs through 10 offices worldwide, and is a truly viable option for all timeshare, points and fractional owners to exchange their weeks and points or credits products. DAE's robust set of membership benefits makes it easy for owners to truly enjoy their vacation ownership experience. Their simple, flexible and innovative direct to consumer approach has evolved into a range of business development and support tools for their business partners such as resorts, management companies and Home Owners Associations who are looking for a competitive edge to support their rapid growth. DAE offers a value added Gold Advantage benefits program along with low exchange fees, a 3-year credit for every banked week, 24/7 live access to exchange weeks, personalized customer service, worldwide vacation availability, discounted rental weeks in prime locations and informative monthly e-newsletters providing travel tips, destination ideas and money saving promotions and offers. At DAE, the timeshare owners' needs come first and foremost and quality of service is never compromised. For more information, please visit http://www.daelive.com. Nickelodeon is one of the most globally recognized and widely distributed multimedia entertainment brands for kids and family. It has built a diverse, global business by putting kids first in everything it does. The companyâ€™s portfolio includes television programming and production around the world, plus special events, consumer products, digital offerings, recreation, books, feature films and pro-social initiatives. Nickelodeon's brands reach 1.1 billion cumulative subscribers in more than 160 countries and territories, via more than 80 + locally programmed channels and branded blocks. Outside of the United States, Nickelodeon is part of Viacom International Media Networks, a division of Viacom Inc., one of the world's™ leading creators of programming and content across all media platforms.